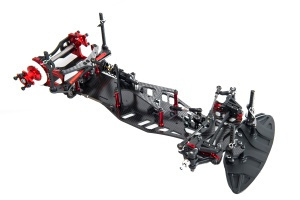 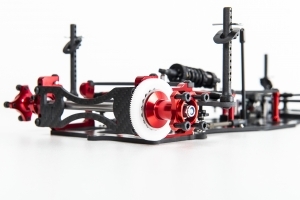 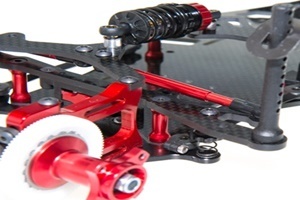 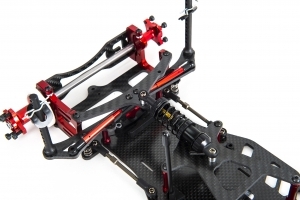 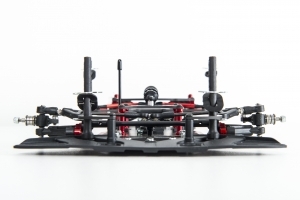 The new P1-235 Pro10 chassis kit. 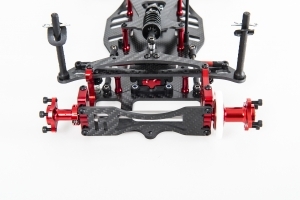 Sharing most parts with the 200mm wide P1 car the 235mm Pro10 features a centre point bellcrank steering system with an in-line servo position, the kit comes with an aluminium front stiffing rod and the chassis can accommodate optional tungsten weights to alter the weight bias and thus steering and overall traction. 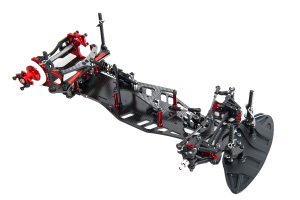 On top of this the motor pod allows to mount the speed controller in the motor area for even more weight distribution options.